Ho Ho Holy cow… the holidays are upon us once again! 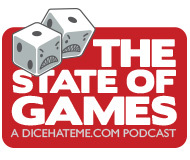 That means it’s time for my favorite yearly tradition: The Dice Hate Me Holiday Gift Guide! I’m back this year with a whole passel of possible presents for your favorite players and cube pushers. Some selections may be a bit esoteric, but I guarantee they’ll all satisfy those special someone’s on your list. Whew, that was a lot of alliteration! So relax, pour yourself some cocoa or a glass or three of eggnog, and allow me to help you out with your shopping lists, Dear Readers. May all your rolls be sixes and your resource cubes be plentiful. Happy Holidays and Happy Gaming! Anyone familiar with the classic computer game Sim City can tell you that designing and building your own cityscape can be an incredibly rewarding experience. Quadropolis manages to capture that special wonder in analog form. In the game players are all building their own metropolis, competing to draft shops, parks, apartment buildings, offices, public services, harbors, and factories by strategically placing architects along the edges of a 5×5 grid of tiles. Where each numbered architect is placed determines what tile is drafted and also in what area of a player’s personal board the building tile may be placed. Each tile type scores differently at the end of the game depending on several variables, allowing for multiple paths to victory, and making each game a satisfyingly different puzzle than the last. Recommending this game as an upgrade to Ticket to Ride might be a tad misleading; it’s not much more advanced than TtR, but the clean, modern aesthetic and theme makes for some fresh variety from the same publishers. I think in the end your favorite train engineer might just want to swap out their cap for a civil engineer’s hard hat this holiday season. 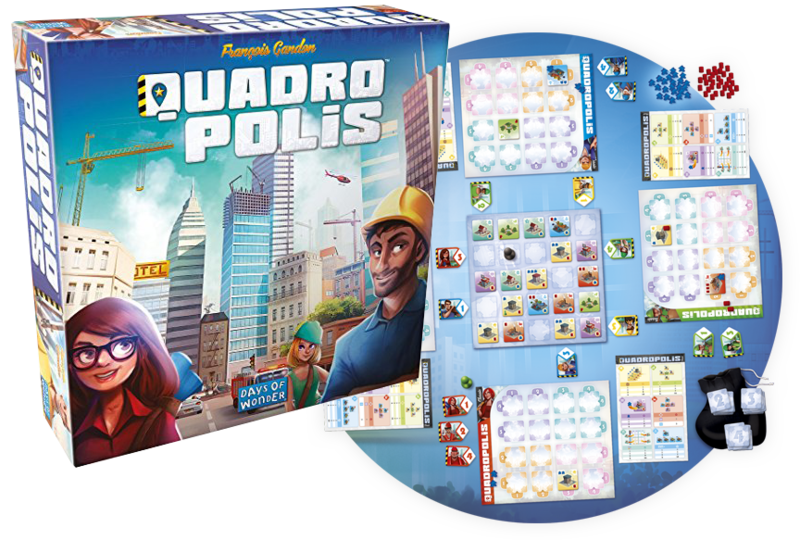 Quadropolis is a game for 2-4 budding civil planners from Francois Gandon. It retails for about $35-$40 and you can buy it online here or at your Favorite Local Game Store. Don’t let the category of this one fool you – Clue is still a lot of fun if you forgive the horrible roll-and-move you have to do in order to circumnavigate the mansion. The real fun in Clue is trying to guess the whole whodunnit mystery, and Suspicion only ups the suspense. In Suspicion, players have been invited to a holiday party in a ritzy mansion filled with priceless jewels; the big drawback for the owner of the mansion is that you’re all secretly jewel thieves! During the game, ten characters will move about the mansion through the use of two dice that turns that whole roll-and-move bit on its head. On a player’s turn, after two of the characters move, that player may play one of two cards in hand. Each card allows two actions, such as stealing a gem in the space where that player’s character is currently, moving a certain character on the board, and asking someone else whether their character can be seen by any other characters. When the supply of one of three gem types have all been stolen the game ends, and players have to try and guess which players are which characters. You all get points for right answers, as well as for sets of gems. It’s a great exercise in both deduction and subterfuge! Pick this one up, it’ll steal your heart. 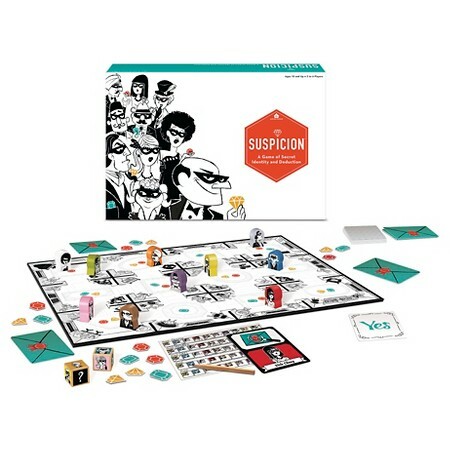 Suspicion is a game for 2-6 sneaky suspects from Forrest-Puzan Creative. It retails for $19.95 and you can only buy it at Target. Eh, you were already going there to buy Christmas lights, wrapping paper, and The Santa Clause on DVD, so why not grab this, too? Vegas is the quintessential holiday town if you think about it – bright lights, lots of parties, the thrill of not knowing what you’re going to get. 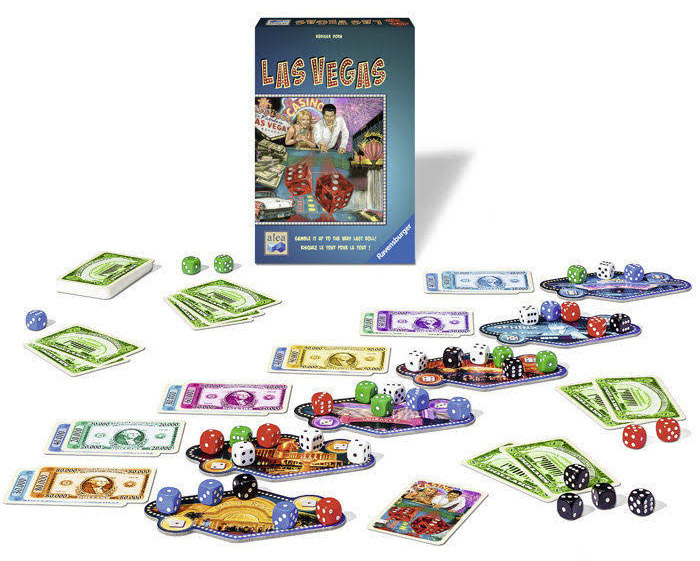 So why not bring home a little bit of Vegas for the holidays? In this classic game of press-your-luck and one-upmanship, players vie for the payouts in six different casinos over four rounds. On a player’s turn their dice are rolled, and that player chooses all the dice of one particular set to place into whichever casino matches the number on each die’s pips. The round continues until all players’ dice are placed, and whoever has the most dice in a casino takes the highest payout, the second highest the next (if any are available), and so on. The real trick is playing the odds that the leaders in a casino are tied – if players are tied, neither can take a single payout, so wily players can sneak into a casino with a low bid and pull off a heist! Trust me, there’s no gamble with this one – it’s a sure thing. Las Vegas is a game for 2-5 high rollers, from Rüdiger Dorn. It retails for about $25 and you can buy it online here or at your Favorite Local Game Store. The concept is simple – you’re all various ne’er-do-wells vying for the big pot of gold… but only one player can take the pot! Each round players will vote for which other player to take down in a hail of lead. The votes are secret, and revealed all at once; the twist in Dead Last is that any means of communication to decide the vote is allowed. This can lead to some seriously creative means to signal intent and collude with others, from eye shifting, to nods, points, under-the-table card sharing… even texting! You’ll revel in the feeling of a well-executed group hit on one turn, only to feel the sting of betrayal the next just when you thought you were in on the whole thing. Just remember three rules when it comes to Dead Last: Never trust anyone, what happens at the table stays at the table, and always shoot Seth first. Dead Last is a game for 6-12 greedy thugs, from Matthew Grosso and Andy Patton. It retails for about $20 and you can buy it online here or at your Favorite Local Game Store. Storytelling games have been coming back with a vengeance the past couple of years, and Above and Below delivers a fresh take with both story and strategy. Players all take on the roles of settlers in a new land, trying their best to establish a settlement and expand their clan. But this new land has a secret – a vast array of caverns stretching out far below the surface, filled with wondrous riches and shadowy dangers. As players add new members to their village, they’ll have to balance using their skills to construct new buildings and gather resources, or sending certain villagers down into the depths to explore the mysteries below. The latter is where the storytelling aspect comes in, and also where a ton of the fun lies. A large story book is included with the game with rich passages that bring the tales to life, along with interesting choices that can make each eventual outcome, and game, completely different. Gather your own personal clan this holiday and enjoy the personal tale as you explore the mysteries both Above and Below – just be sure to watch out for all those Glogos! Just wait, you’ll see. 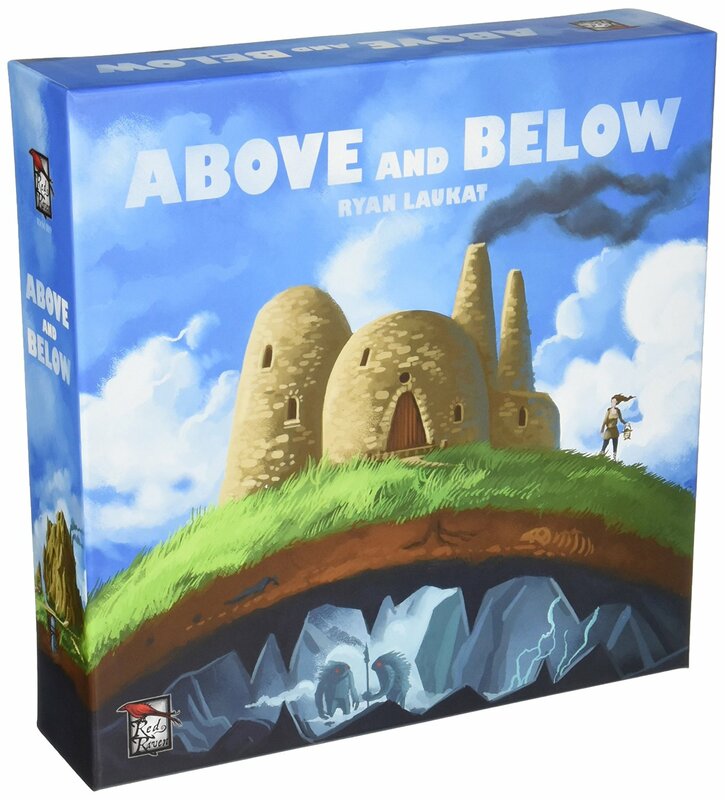 Above and Below is a game for 2-4 storytellers from Ryan Laukat. It retails for about $35-$40 and you can buy it online here or at your Favorite Local Game Store. The best in beer is back! That’s right, after a bit of a hiatus we’ve managed to get the second edition of Brew Crafters back on shelves, and it’s better than ever. If you’re not familiar with the game, players are all managing local craft breweries, and must do their best to manage workers and resources to brew the best beers and improve their facilities. Having the hippest brewery or being the first to market with a gold-label recipe will earn a player serious reputation – and reputation is what will decide the best brewery in town after three years. While the game is highly thematic and steeped in craft brew references, you don’t have to love beer to enjoy the stellar gameplay of Brew Crafters; of course, it certainly can’t hurt! 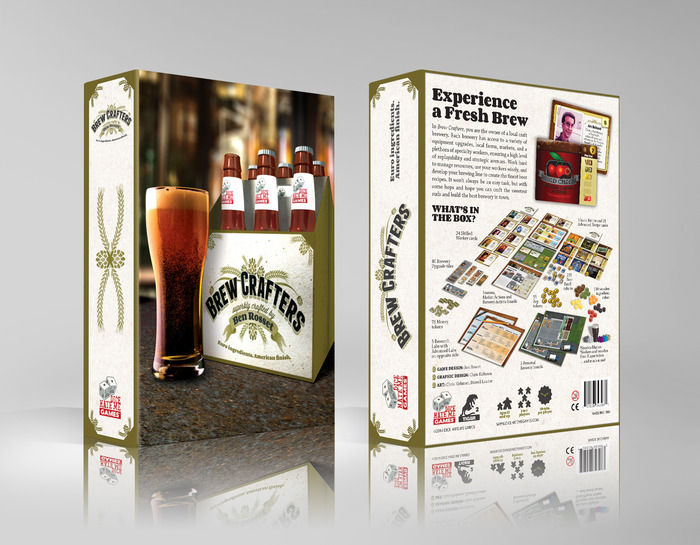 Brew Crafters is a game for 2-5 craft enthusiasts from Ben Rosset and Dice Hate Me Games (hey, I can recommend our products because I know the quality!). It retails for about $50 and you can buy it online here or at your Favorite Local Game Store. It’s no secret around these parts that I love a good dexterity game, and Ice Cool has now joined the ranks of the best flicking games in the genre. In the game players are back in school, except this time around they’re all penguins trying to gobble up some fish before lunch and before being caught! Each round, one player takes on the role of hall monitor trying to tag the other penguins while the others run to and fro trying to nab fish as fast they can. The unique design of the penguin pieces allows for some interesting flicking tricks; practiced players can make their penguins skate in a straight line, make awesome turns, and even jump over walls! 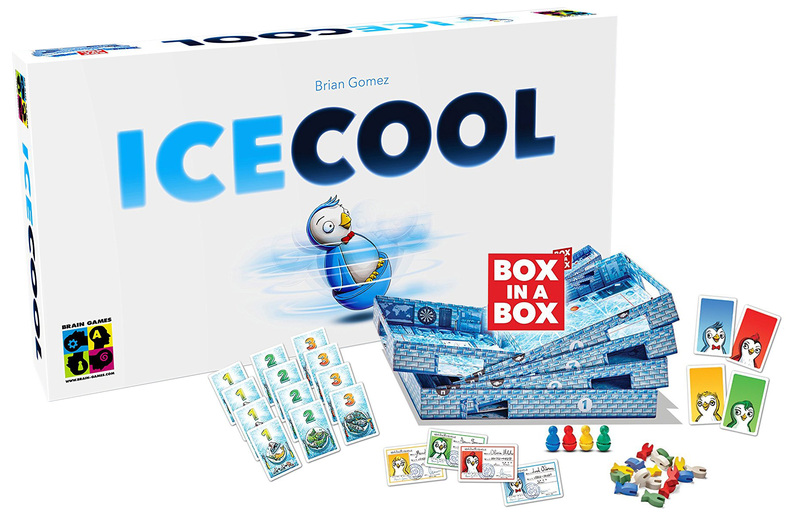 The box design of Ice Cool is even cool – the parts that make up the board all nest together inside the main box, and when locked together create a unique and impressive school for the antics. With fantastic design and addictive gameplay, this is one cool title you’ll want to bring home for the holidays – just be sure to give the kids a turn or two every now and then! Ice Cool is a game for 2-4 furious flickers from Brian Gomez. It retails for about $32 and you can buy it online here or at your Favorite Local Game Store. With all the myriad board games cluttering shelves dedicated to pirates, or vikings, or dwarves, or space ships, or 17th-century farmers, it’s quite refreshing to find a game with a unique and incredibly satisfying theme like Tavarua. It’s also quite refreshing when that game also delivers unique and incredibly satisfying gameplay. In Tavarua, players are all surfers competing in a contest off the coast of Fiji. The overall goal is to paddle out, catch the right wave, and use a succession of cards from hand to not only stay on the board but perform gnarly maneuvers for a high score without totally wiping out as the wave heads toward the shore. Players will eventually compete with two different boards: The shortboard is faster and more maneuverable but also less stable and more prone to wipeouts, while the longboard is much more stable but not quite as flashy (except for that crazy cool moment when you actually manage to hang ten). The production value of the game is incredible and really immerses players in the theme. 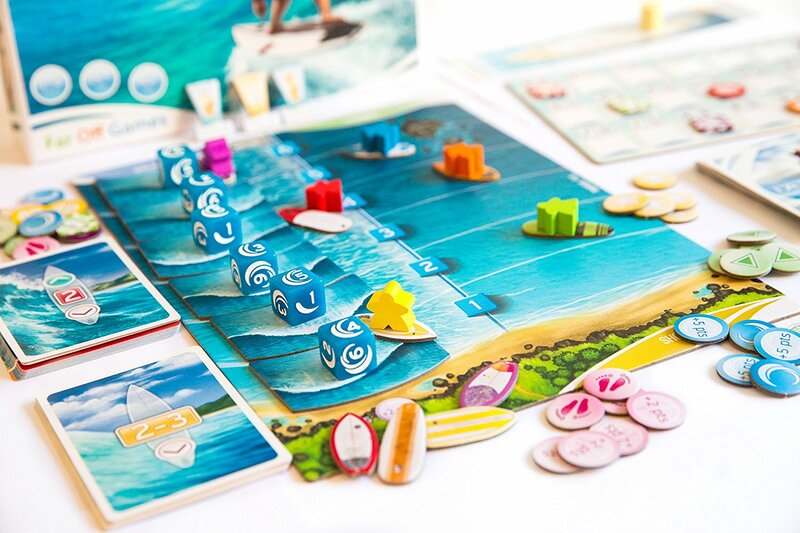 Overall, Tavarua is a totally bodacious joy ride of a game that will bring lots of tropical cheer to your chilly Christmas nights. Tavarua is a game for 1-6 bodacious boarders from Cody Miller. It retails for about $40 and you can buy it online here or at your Favorite Local Game Store. I loved the old Call of Cthulhu Living Card Game, but that ancient workhorse has now been put out to pasture by Fantasy Flight. In its stead comes the Arkham Horror Card Game, another Living Card Game in the vein of Call of Cthulhu except that the players have to work together to stop infernal evil from ravaging the world… or at least Arkham, Massachusetts. The game includes a few campaigns to get players started, and the world will continually expand with future LCG packs released every couple of months. 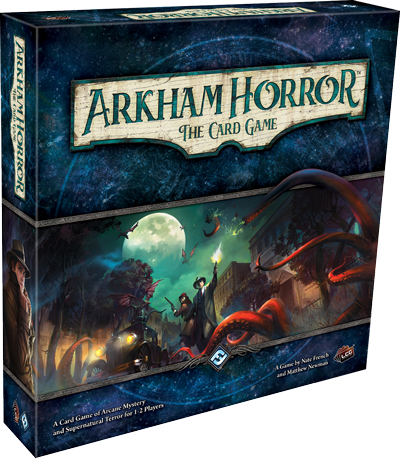 As expected in any FFG release in the Arkham line, the game is highly immersive and filled with unspeakable horrors – just the thing for a nice little nightmare before Christmas. Arkham Horror: The Card Game is a game for 1-2 intrepid investigators from Nate French and Matthew Newman. It retails for about $40 and you can buy it online here or at your Favorite Local Game Store. I love trains. Do you love trains? Of course you do! Don’t let the size of this pocket wonder fool you, there’s a meaty train game here that could rival most big-box brain burners. You’ll build, load, and deliver in typical fashion, but you can also calculate risk versus reward by loading other players’ trains with cargo for a big personal bonus. With the expansion coming sometime in 2017 that introduces passengers and transit stations it’s the perfect time to climb aboard. 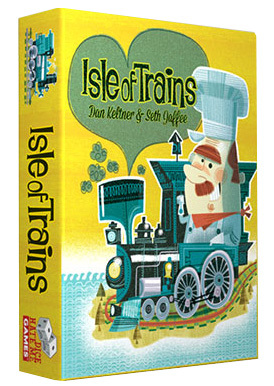 Isle of Trains is a game for 2-4 engineers from Seth Jaffee and Dan Keltner. It retails for about $10 and you can buy it online here or at your Favorite Local Game Store. This digital app is an excellent implementation of the classic hidden-movement game Scotland Yard where five investigators are trying to stop the infamous master thief Mister X. 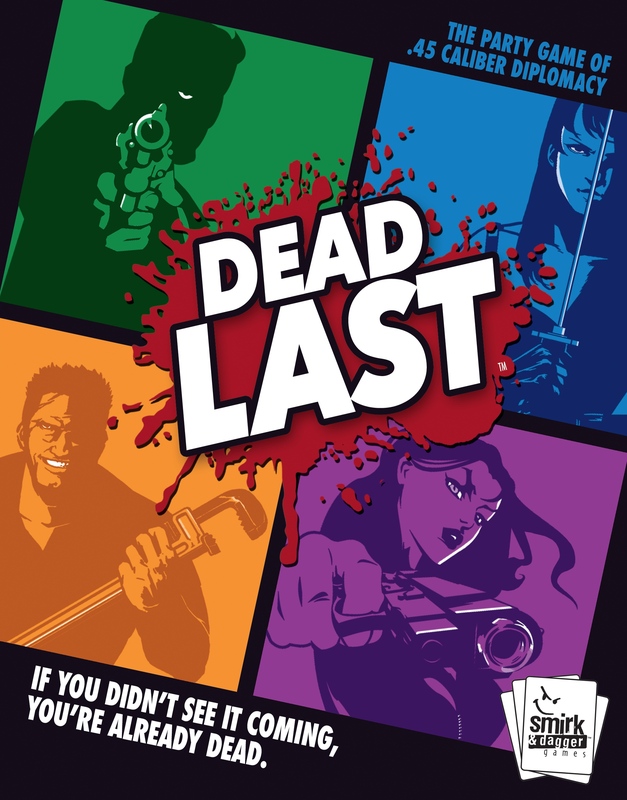 Up to six players can join the action or you can play it solo, taking on the role of one of the investigators or trying to escape London as Mister X (which, let’s be honest, is the most fun – it’s so good to be bad). 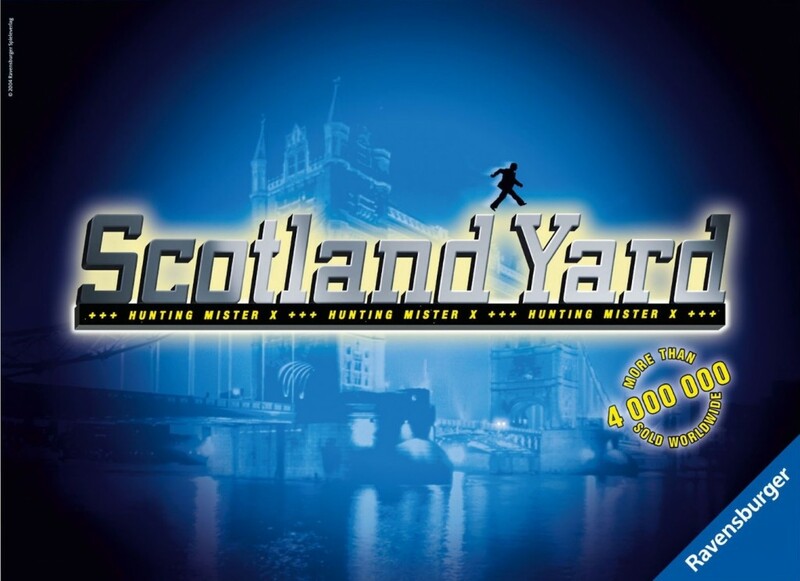 Scotland Yard is from Ravensburger Digital. It retails for $4.99 and you can buy it online here for iOS and here for Android. 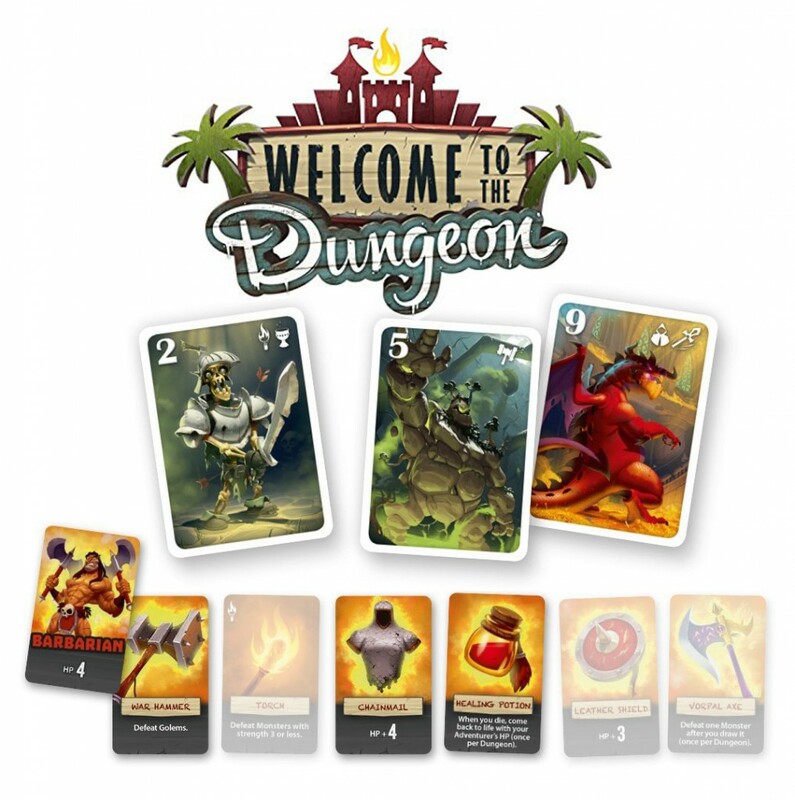 In this charming gem of a push-your-luck game, players take turns daring each other to enter the dungeon with less and less equipment needed to fight off the slowly-revealed monsters within. Once only one player remains they have to head down into the depths and hope they survive; two victorious trips into the dungeon and a player is the winner! There’s always joy in winning, but there’s just as much enjoyment by suddenly realizing you’ve been baited into the dungeon armed with only a shield and that quivering lump in your throat. Welcome to the Dungeon is for 2-4 dungeon delvers from Masato Uesugi. It retails for $15 and you can buy it online here or at your Favorite Local Game Store. Remember in The Martian when Matt Damon is marooned on the red planet, contemplating how he’s going to survive, and he comments “I’m going to have to science the sh*t out of this”? That’s pretty much Terraforming Mars. In the game, players are future corporations or entities that are racing to colonize Mars and reap the rewards of its resources. During the game, players will manage an economy of resources, as well as an ever-changing hand of cards, to do some science, bringing water, crops, cities, and more to the Martian surface. This is a competitive game, however, so occasionally your fellow colonizers are going to conspire against you and do something questionable like lure a giant meteor onto the surface and totally ruin your day. As far as big, thinky Eurogames with a heavy theme go, Terraforming Mars isn’t going to make most players’ brains melt since every action makes sense, and the limited amount of choices from available cards doesn’t cause cognitive overload. However, if you really hope to rule the newly-revived red planet you’re going to need to channel your inner botanist and get your science on! 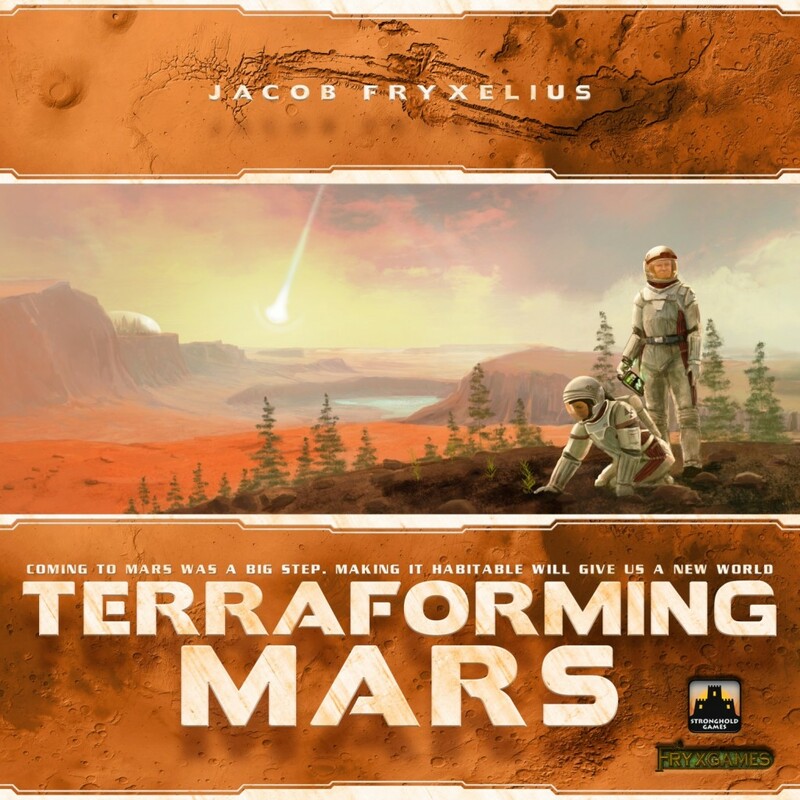 Terraforming Mars is a game for 1-5 colonists from Jacob Fryxelius. It’s currently sold out, but you can bug Stronghold Games about a reprint, or possibly track down a copy from the BGG marketplace. It’s worth the search!